"Building Collaborative Partnerships for Timor-Leste"
A partnership between The Blue Mountains East Timor Sisters, the Institute for Culture and Society, and the Sustainability and Social Research Group. On the 14th of July 2012, the UWS Institute for Culture and Society and the Sustainability and Social Research Group hosted The Inaugural NSW Forum: Collaborative Partnerships for Timor-Leste in collaboration with the Blue Mountains Sisters of East Timor (BMETS). The one day Forum brought together a number of Australian organisations committed to give support to the betterment of the people of Timor-Leste. The success of the event proved worthy all the hard work that the members of the organising committee put into organising the event. The organising committee included Suzie van Opdorp, Mary Waterford from BMETS, John Telford from the Blue Mountains Friendship committee of Hato Builico, Jenny Coles a voluntary liaison with the office of Kirsty Sword Gusmao, and from the University of Western Sydney, Gabriela Coronado and Wayne Fallon. 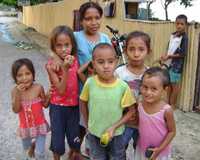 The success of the forum can be measured by the enthusiastic response from a variety of Australian philanthropic organisations, support groups and individuals who voluntarily devote their time to raise funds for developing programs in Timor-Leste in partnership with Timorese communities and NGOs. 150 delegates participated on the day of the forum, including among them academics from 10 Australian universities (plus UWS), representatives of the Australia Timor-Leste Business Council, the Australia-East Timor Association, AusAID, and 31 other organisations including NGOs, East Timor Friendship Committees and Councils. The forum was also attended by a number of VIP guests. These included His Excellency Mr Abel Guterres, East Timorese Ambassador to Australia, the Labour and Education Attaché to the Embassy of Timor-Leste in Australia, Mr Ismenio Martins da Silva and from the Consulate of Timor-Leste in Sydney, Ms Maria José de Jesús, Consul General, and Fonseca dos Santos Pereira. The VIP guests engaged fully with participants from the different organisations and in particular with a number of Timorese students now studying in Australia who have just created the East Timor Student Association, based in UTS. The Forum was honoured with the presence of Associate Professor Greg Noble, who welcomed the participants on behalf of ICS and UWS, and Aunty Carol Cooper, Darug and Gundungurra elder, who is also a member of the Blue Mountains East Timor Sisters, and the Blue Mountains Hato Builico Friendship Committee. She welcomed the participants to the country and acknowledged the traditional owners of the land. Other people were key in making the event successful. Christy Nguy (from the ICS) was a central support with the administration of catering and registration, and went beyond her duties coming on Saturday morning with her family just to make sure all was working fine. Rachel Tutiama from the School of Business was crucial in managing the invitations and hosting the participants on the day of the event. She, together with two PhD students from the School of Business, Ayda Succarie and Robyn Taylor, made sure everything was working smoothly, providing organisers with the opportunity to engage with the participants. An extra bonus was the contribution of Tradewinds Fairtrade Tea & Coffee, who donated Timor-Leste coffee bags for all the participants. The pick of the event (agreed by most participants in the forum evaluation) was the inspiring speech of the keynote speaker Ms Kirsty Sword Gusmao, former First Lady of Timor-Leste, Goodwill Ambassador for Education and Director of the Alola Fundation, wife of current East Timor Prime Minister Xanana Gusmao. No less significant were the presentations of four guest speakers in the Panel "Dialogues for Timor-Leste". Jude Finch and Richard Brown offered inspiring stories from their experience working on the ground. Prof. Damien Kingsbury reported the outstanding level of collaboration in the Victorian East Timor network. Kaye Schofields from AusAid gave an overview of AusAid work on education programs in Timor-Leste. All these inputs provided excellent conditions for the many conversations that followed during the rest of the day. This included intensive networking during lunch and coffee in the Hub, and participant exchanges in the 10 workshops organised around education programs in Timor-Leste. At every opportunity everyone was eager to share their knowledge and experiences from the work their organisations are doing with the aim of making a difference in Timor-Leste. The forum was highly successful in fulfilling its double aim. 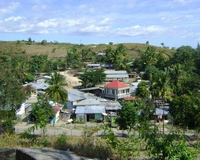 It raised the profile of ICS and the University through the leading role it played, promoting a sharing of perspectives and experiences around the needs and opportunities for Australians to collaborate with Timorese communities and NGOs, planting the seed for further research and community engagement between UWS and philanthropic organisations who contribute to the betterment of Australian neighbour, Timor–Leste. At the same time the presence of academics from many universities plus key players from Australia and Timor-Leste provided a critical mass out of which significant research collaborations can hope to grow. Read the Blue Mountains East Timor Sisters' article on the event: Building Collaborative Partnerships in East Timor Forum (opens in a new window). Kirsty Sword Gusmao was interviewed on Wednesday 11 July by ABC Radio National's Life Matters program. 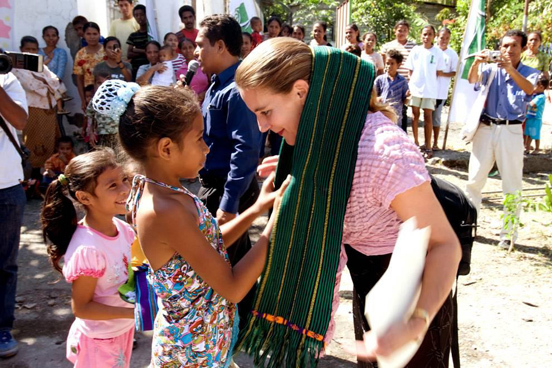 Listen to the program on the Radio National website: Girls and Education in Timor: former first lady Kirsty Sword Gusmao (opens in a new window). 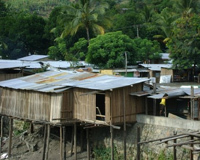 Support for Timor-Leste communities is provided from a wide range of different sources. 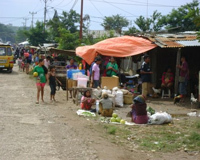 Governmental agencies, non-governmental organisations, international aid bodies, religious organisations and, importantly, grassroots philanthropic organisations working in Timor-Leste have provided many different kinds of aid to support the new nation in various ways. However, there is need for a more integrated and collaborative approach to increase the impact of these aid efforts so as to enhance the local initiatives of East Timorese NGOs and community groups. The aim of this forum was to create a space for new dialogues between organisations and community groups that have experienced the challenges of and developed expertise in collaborating with Timor-Leste communities. The forum facilitated the exchange of different perspectives and practices, and offered the opportunity for those committed to change in Timor-Leste to identify collaborative initiatives between government aid agencies, researchers and community organisations currently involved in the provision of aid in the country. Through attendees' participation in the workshops, the forum aimed to generate constructive dialogues and debates about how best to optimise the multifarious existing supporting efforts. It promoted the sharing of ideas and experience between Australian NGOs, community groups, government aid bodies and academics working with Timor-Leste NGOs and communities. Read the UWS media release for the event (12 July). Ms Kirsty Sword Gusmao, Former First Lady of Timor-Leste and Goodwill Ambassador for Education, Director of Alola Foundation. Jelena Zelenovic, Assistant Director, Timor-Leste Education, AusAID: AusAid education support to Timor-Leste: priorities and way forward. Educational infrastructure (school buildings, solar and water facilities, and so on). Suzie van Opdorp: phone 0415 689 935 or email suzie.vanopdorp@gmail.com.